A trial of e-scooters (electric scooters) has been approved to take place in the Adelaide CBD. Find all information about the trial here. Find all rules here. The Australian Road Rules are a national body of laws governing the use of roads, footpaths and other shared spaces by drivers, cyclists, pedestrians and others. There are over 350 rules and they have been in operation since December 1999. 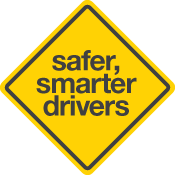 The operation of the rules is continually monitored and amendments take into account changes in road safety policy, driver behaviour and technology. Most changes to the rules are simple clarifications that improve their interpretation and/or operation. Other changes to road laws are made through amending relevant legislation. Read more about road rules that apply in South Australia in The Driver's Handbook. Bike riders will be able to ride across a marked foot crossing, a pedestrian crossing or a children’s crossing, but they must do it safely. Riders must keep to the left, give way to any pedestrian, and cross without delay. Riders must obey the pedestrian or bicycle crossing lights and not enter the crossing once the symbol turns red. Riders should slow down on the approach to the crossing and keep a sharp lookout for pedestrians and vehicles. The fine for failing to cross correctly is $115 which is inclusive of the $60 victims of crime levy. Regulations 9A and 32 of the Road Traffic (Road Rules – Ancillary and Miscellaneous Provisions) Regulations 2014. All Vehicles must give way to pedestrians and cyclists when they are entering crossings and slip lanes, that is when they are about to cross. The fine for failing to do so could be up to $470 which is inclusive of the victims of crime levy. Regulation 9B of the Ancillary and Miscellaneous Regulations. Private buses will be able to use bus lanes, but not ‘bus only’ lanes painted in red. A bus is ‘a motor vehicle built mainly to carry people that seats over 12 adults (including the driver)’. Regulation 12 of the Ancillary and Miscellaneous Regulations. Segways to be used in the Riverbank Precinct as part of a guided tour authorised by the Adelaide City Council. Otherwise, they are not legal for use on South Australian roads. Motor Bike Riders to Lane Filter, Road Traffic (Road Rules—Ancillary and Miscellaneous Provisions) Regulations 2014, Regulation 11C. Lane filtering is when a motor bike rider travels at low speed in between two lines of stationary or slow moving traffic travelling in the same direction. not permitted in bicycle, bus or tram lanes. Petrol-powered bicycles are prohibited on roads. They can be difficult to stop and pose a significant safety risk to riders. They are banned under regulation 48 of the Road Traffic (Miscellaneous) Regulations 2014. The fine is $418, inclusive of the victims of crime levy. a child of up to the age of seven years with a disability or medical condition to sit in the front seat of a vehicle if the driver is carrying a medical certificate, provided the child is properly restrained in either an approved child restraint or one that is fit for purpose (ARR 266). An exemption from wearing a helmet when pushing a motorbike with the engine not on (for example when at a service station) (ARR 270). Motorbike riders to remove one foot from a footrest when the motorbike is moving (for example to stretch legs on longer journeys) (ARR 271). The rider of a bicycle to cross at an intersection that is showing a green bicycle crossing light even if the traffic lights show a red or yellow traffic light (ARR 262A). In addition, the rules clarify that only audio (not video) calls may be made or received when driving (ARR 300). Road Traffic (Road Rules – Ancillary and Miscellaneous Provisions) Variation Regulations 2015, the Road Traffic (Miscellaneous) Variation Regulations 2015 and the Motor Vehicles Variation Regulations 2015 to allow all-age cycling on footpaths and to introduce an offence for a driver of a motor vehicle failing to overtake a cyclist by a prescribed minimum lateral distance with an expiation fee of $287 and 2 demerit points. Amendments to the Australian Road Rules were made to help clarify existing rules, create consistency within the Rule or remove ambiguities for road users. Most amendments do not involve a change in general driver behaviour. CLARIFY: Rule 128A – To make it clear that after giving way to pedestrians on the crossing, a driver may enter a children’s crossing or a pedestrian crossing that is immediately before an intersection without traffic lights and stop on it if the road beyond the crossing becomes blocked. CLARIFY: Rules 134 and 138 – A driver may cross a single continuous dividing line to park in angle parking on the opposite side of the road, provided that the driver does not need to perform a U-turn to reach the parking area. This includes crossing a painted island surrounded by a single continuous line. CLARIFY: Rule 153(4) – Bike lane road markings (not only signs) can be used to commence or end a bicycle lane (comprising both a white painted bicycle symbol and the words "lane" or "end lane" as appropriate). NEW: Rule 197 – Drivers are prohibited from stopping/parking on a traffic island (for example, in the centre of a roundabout). The expiation fee for stopping on a traffic island is $87. NEW: Rules 265(4) and 266(5B) – Passengers under one year old can sit on the lap of another passenger who is 16 years old or older when travelling in a bus, taxi or tow truck where no appropriate child restraint is available for use and they are not in the front row of seats. CLARIFY: Rule 266(2B) – When a booster seat is used it must be used with either a lap and sash type of approved seatbelt or an approved child safety harness. NEW: Rules 265(5) and 266(5C) – Drivers of correctional vehicles are exempt from the requirement to ensure that passengers in rear seating rows or a caged area are wearing seatbelts. CLARIFY: Rule 271 –To allow a motor bike rider to remove his/her feet from the footrests to manoeuvre the vehicle, such as reversing the bike into a parking space, or when the motor bike (at low speed <10km/h) is decelerating to come to a rest, or accelerating from a rest. Many of these changes are simply to clarify existing road rules and make them easier to understand. Specific details are outlined in the Government Gazette 13 February 2014 pp 917-934. Rule 127 – Minimum distances between long vehicles. A road train must now keep a minimum 200 metres distance behind another long vehicle unless driving on a multi-lane road or any length or road in a build-up area or overtaking. Long vehicles (except a road train) must travel to a minimum 60 metres behind another long vehicle. Rule 227 – Use of portable warning triangles in vehicles over 12 tonnes. The way in which portable triangles must be laid out to identify a broken down vehicle has been clarified and the distance at which the triangles must be placed relative to the speed limit for the area in which the hazard occurs has been varied. If the triangles are not properly placed, the driver could face prosecution and would be held liable for any crash that results from a failure to comply with these requirements. On roads where the speed limit is 80km/h or over, triangles must be used when the vehicle is not visible within 300 metres in all directions. On roads where the speed limit is less than 80km/h or, triangles must be used when the vehicle is not visible within 200 metres in all directions. Rule 137 – Driving across a dividing strip with a pavement bar. Allows drivers to legally drive across pavement bars and markers to enter or leave a road removing unnecessary obstruction to traffic. Rule 266 – Child restraints. Allows a third child aged four or older to sit in the front seat of a vehicle (providing they are appropriately restrained) if there is no room for them in the back row of seats because of two other child restraints already fitted in the back seat. Where there are no seatbelts fitted in the back row of seats, a child aged four or older can now sit in the front seat (providing they are appropriately restrained). Rule 299 – Motorcycle riders using mobile phones as a GPS. Allows motorbike riders to use mobile phones as a GPS in the same way as drivers of motor vehicles, provided that it is securely mounted and they do not touch or manipulate the device. Allows adults (aged 18 and over) to ride on footpaths to accompany children aged less than 12 years. Allows bicycle riders to enter bicycle storage areas located at traffic lights other than from a bicycle lane. A $340 expiation fee for longboarding was introduced and applies when the speed limit of the road is over 60 km/h or when the road has two or more marked lanes in the same direction of travel. Skateboarding on a road with a dividing line or median strip or where the speed limit is over 50 km/h remains an offence and may incur a $52 expiation fee. Child restraint laws approved by the National Transport Council in 2008, were adopted in South Australia on 1 July 2010. For details go to Seatbelts and child restraints. Infants up to six months old to be restrained in a rearward facing infant restraint. Children aged between six months and up to four years old to be seated in either a rearward or forward facing child safety seat. Children from the age of four and up to seven years old to be seated in a forward facing child safety seat or booster seat (restrained by a correctly adjusted seatbelt or child safety harness). Children from the age of seven years to be seated in a booster seat with seatbelt or harness or a correctly fitted and adjusted adult seatbelt. Children under the age of four years to be seated in the rear of the vehicle (where the vehicle has two or more rows of seats). Children from the age of four and up to seven years to be permitted in the front of the vehicle if all rear seats are already occupied by children up to the same age (where the vehicle has two or more rows of seats).